In the spring term of 2012 the Department of Applied Psychology ran a volunteering fair for students. The idea was to bring in third sector organisations so that students could find out about different volunteering opportunities. It went well, and while chatting about it later someone had the idea that we could build on the fair by having a full day that would include information for each level, keynote speakers and, of course, the volunteering fair. At the end of February, we held our third undergraduate conference, with attendees from all years and the Foundation in Social Sciences Programme too. We seem to have come a long way in four years. The day started at 1030 with around 300 delegates in the main hall. Dr Dan Heggs introduced the day, before a brief talk by careers, and then the keynote speaker, who had come all the way from Aberystwyth University. Saffron Passam talked about her doctoral research, looking at employability and identity. Saffron started with outlining a brief history of employability considering a shift in thinking from a focus on the unemployable, to the idea of a career and improving productivity as part of human capital, before introducing the idea of the protean worker who has choice, skills and is flexible. Saffron then talked about the findings from her research, looking at what employability means for students completing degrees. 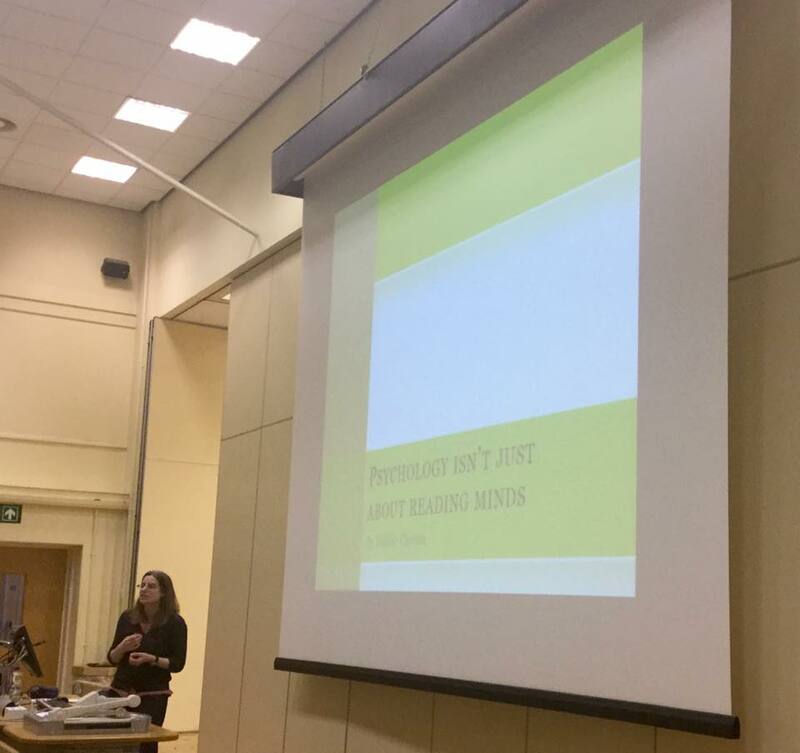 Saffron’s talk was an excellent way to start the day, with a focus on skills and how they can be seen but also as a way of thinking about how psychology can be used to understand and grasp complex issues. Saffron’s enthusiasm and care for her topic shone through, and that was really appreciated by all. The year groups then went their different ways, for sessions that would help them prepare for the next level of the programme, and also to later meet volunteer partners over lunch at the fair. For students already volunteering it was an opportunity to see other areas of work, and for those considering where they might like to gain experience they could see a number of our partners. There was also an opportunity to find out about Erasmus exchanges and applied projects with partners. 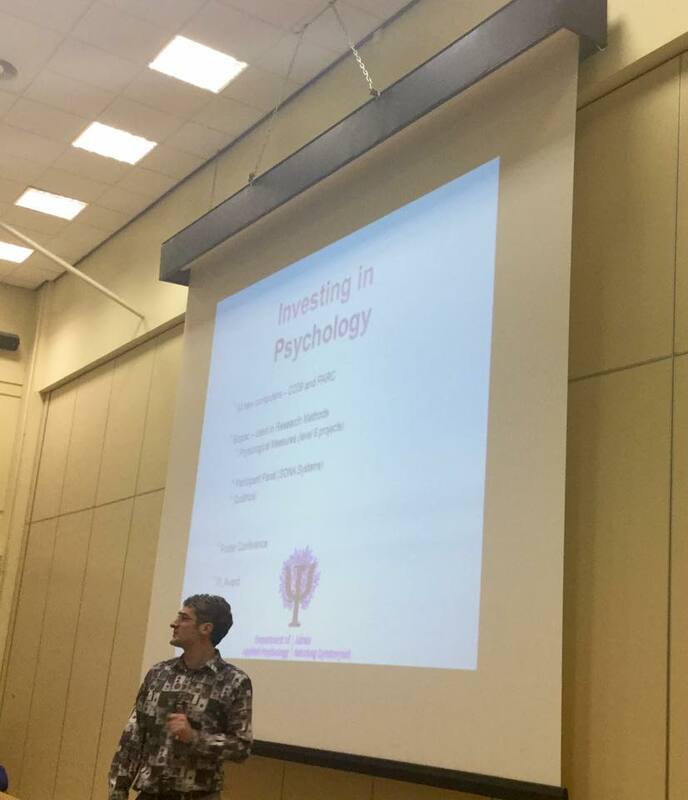 The final session of the day included presentation from Rachel Roberts and Stuart Abbott about the Healthy University initiative, and was followed by the keynote talk by Dr Debbie Clayton entitled Psychology Isn’t Just About Reading Minds. These two showed how we all need to be able to recognise our skills, and to be able to work together to improve our environments. Debbie talked about COAL (http://www.cardiffmet.ac.uk/health/research/Pages/Center-for-Outdoor-Activities-and-Leisure.aspx) and her research in outdoor activity showing how outdoor and green exercise, linking how psychology students have the skills and knowledge appropriate for helping meet policy agendas for the Welsh Government’s Future Generations Act (http://gov.wales/topics/people-and-communities/people/future-generations-bill/future-generations-act-video/?lang=en). For more information about how the Careers Service can help you, contact careers@cardiffmet.ac.uk or book an appointment via CareerHub www.cardiffmet.ac.uk/careerhub. The presentations at the beginning and end of the day offered an opportunity to critically reflect on the purpose the day, programme and skills gained through it. As always, thanks need to go to Alison, Helen G., Nick, Leanne E., and Shamima, and staff and especially students for helping out on the day. We look forward now to next year!